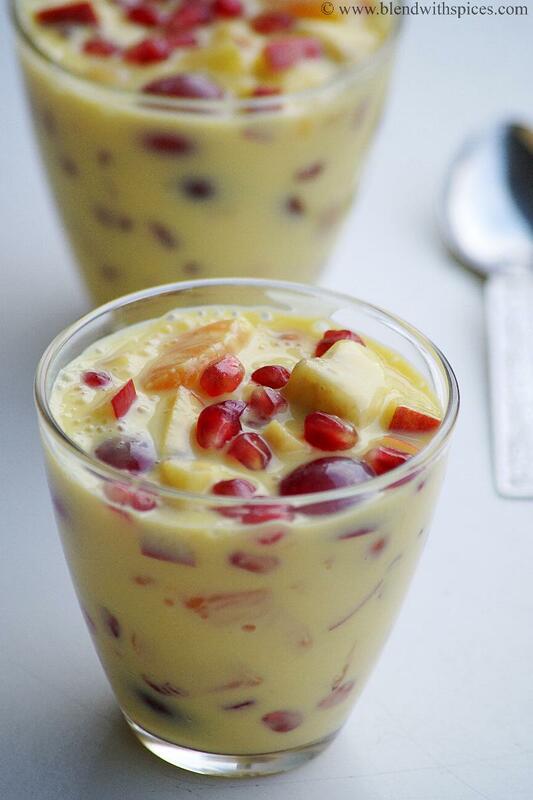 Fruit Custard is one of the most delicious and healthy desserts and is very easy to make no matter what the occasion is. Also look at it as the perfect way to add fruits to the diet to boost our nutrition intake. 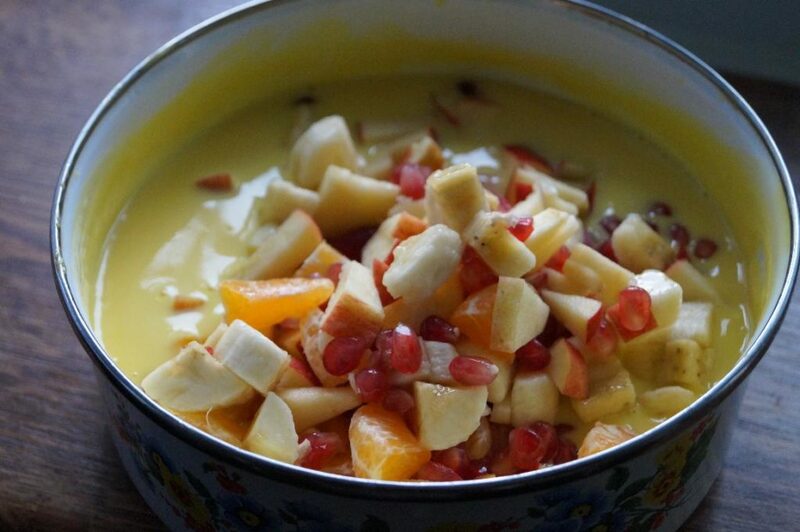 This fruit custard is nothing but a simple fruit salad with custard sauce. 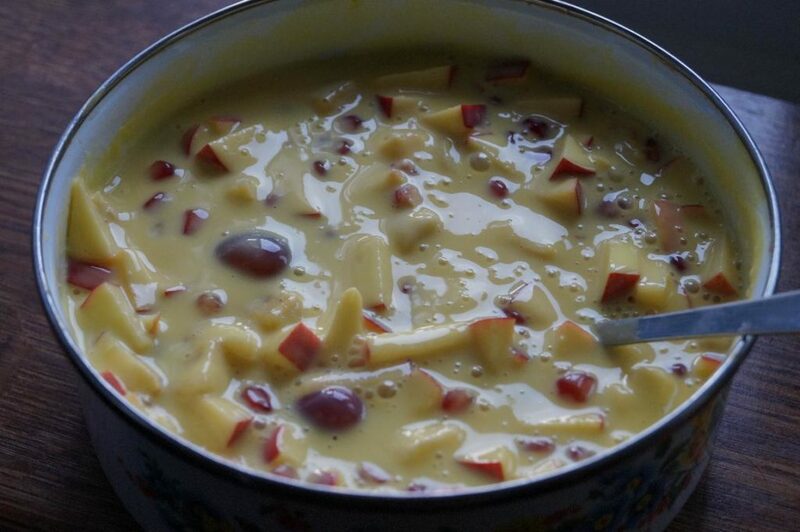 I’ve already posted Apple Custard and Mango Custard recipes a few years ago – both being single/lone fruit recipes. You can use any seasonal fruits except watermelon to make fruit custard. 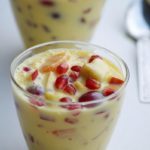 I’ve used apple, grapes, banana, pomegranate and orange in this recipe and used the custard powder to prepare the creamy eggless custard. You can also add nuts to make the custard richer. If you are a chocolate lover, try my Chocolate Fruit Custard Recipe as well. Take milk in a heavy bottomed vessel and bring it to a simmer. 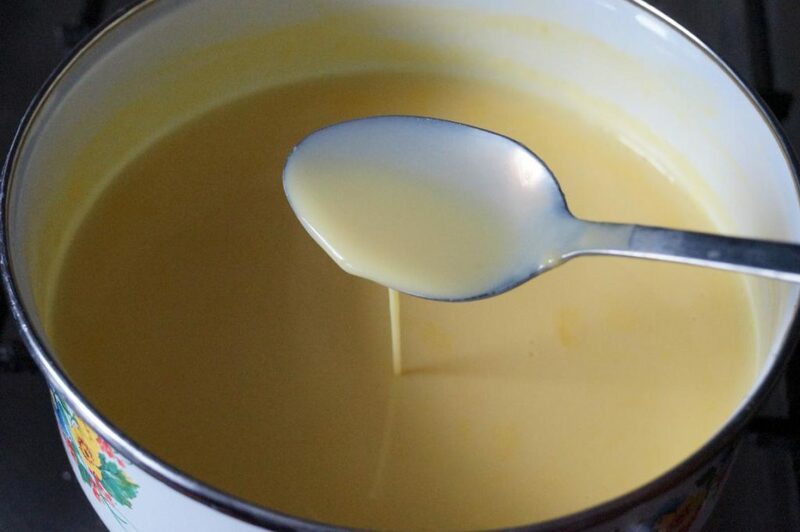 Take 1/4 cup of warm milk and add the custard powder to it. Mix well without any lumps. Add this custard milk back to the boiling milk and mix well. Add sugar and vanilla essence and keep stirring in a low flame. Stir continuously to prevent lumps from forming. Cook until the mixture thickens. Turn off the flame and let it cool completely. This will thicken more as it cools. 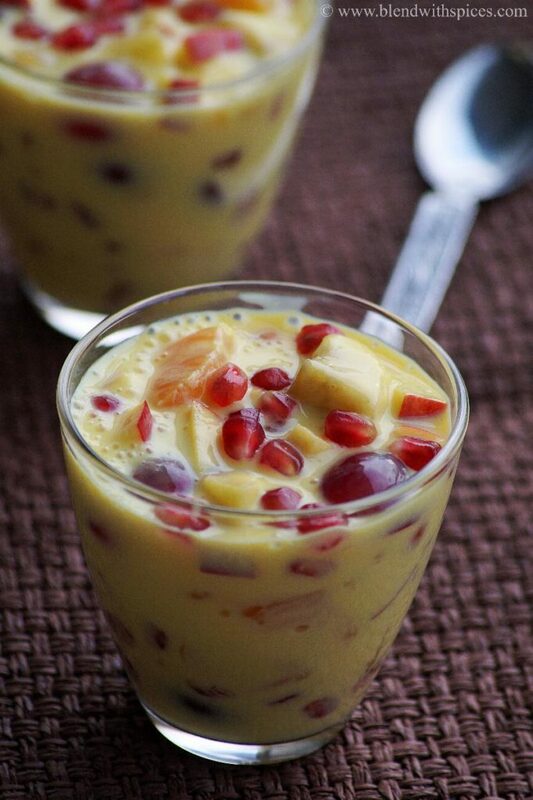 Add the chopped fruits to the prepared custard and combine. Refrigerate it and serve chilled. You can also chill the custard first and add the fruits before serving. 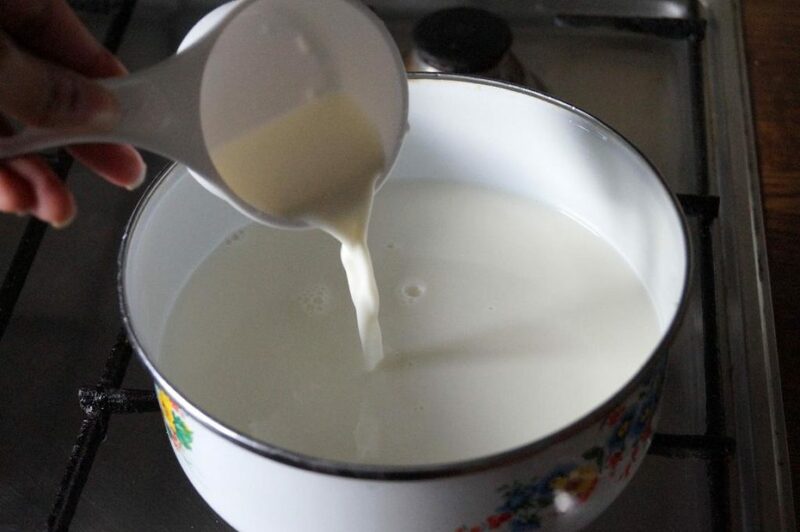 Add this custard and milk mixture back to the boiling milk and mix well. Add sugar and vanilla essence and keep stirring on a low flame. Turn off the flame and let it cool completely. This custard will thicken more as it cools. Add the chopped fruits to the prepared custard sauce and combine well. Refrigerate it for some time and serve chilled. It looks so yummy that i would finish both the cups!!!!! Really great work. Thanks for sharing it . What a nice work.